Passenger traffic at the world’s number one international airport, Dubai International (DXB), climbed 7.4 percent to almost 22.5 million during the first quarter of 2017. 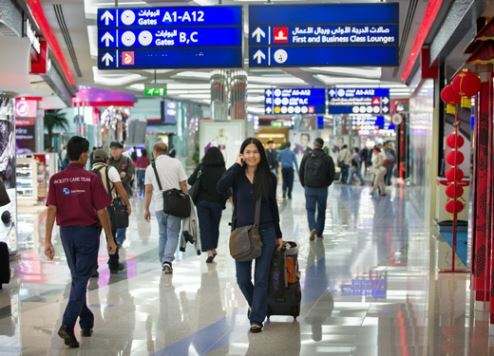 More than 22 million (22,496,596) passengers used the facility in the first three months of the year, compared to 20,948,690 during the same period last year, according to traffic results released by operator Dubai Airports. The year-to-date totals follow March results, which witnessed a 3.8 percent increase in passenger numbers to 7,511,431 compared to 7,237,509 reported in March 2016. The more modest growth rate in March was due to the timing of the Easter holiday, which fell during March in 2016 and in April this year. The average number of passengers per flight during the first three months of the year was 224, compared to 209 during the corresponding period in 2016, an increase of 6.8 percent. Eastern Europe was the fastest growing market in terms of percentage increases in Q1 (33.3 percent). The appreciation of the ruble against the US dollar over the past year has increased spending power in Dubai and spiked demand in the Russian market, Dubai Airports said. Asia was the next fastest growing market (22.6 percent), benefiting from additional capacity provided by Emirates and flydubai in countries such as Thailand, China and the Philippines. In third place was South America, with growth of 22.2 percent. India remained the top destination country during the first three months of the year with a total of 3,031,866 passengers, followed by the UK (1,618,334 passengers), Saudi Arabia (1,572,963) and Pakistan (1,166,642). London topped the list of destination cities during the period under review with 974,950 passengers, followed by Doha (797,729 passengers), Bangkok (633,496) and Mumbai (618,638). Dubai Airports CEO Paul Griffiths said the 7.4 percent increase in passenger numbers during Q1 kept DXB “well on track” to meet its 2017 forecast of 89 million passengers.